Lincoln's 272 Words, A Model Of Brevity For Modern Times The Abraham Lincoln Presidential Library Foundation has asked presidents, poets and sailors aboard the USS Lincoln to write their own 272 words on the Gettysburg Address, or another subject of their choice. NPR's Scott Simon shares the piece he wrote for the exhibit commemorating 150 years since Lincoln's famous (and famously brief) speech. On the 150th anniversary of the Gettysburg Address, the Abraham Lincoln Presidential Library, Museum and Foundation is inviting anyone to submit their own 272-word essay. One-hundred-and-fifty years ago this month, President Abraham Lincoln uttered 272 words (which he did not write on the back of an envelope) that defined a nation and embodied eloquence when he spoke at the dedication of the Soldiers' National Cemetery in Gettysburg, Pa. It is difficult for those of us who write to say we need more words to tell a story when Lincoln did so much with just 272. For decades, presidents and politicians have uttered words turned out by speech-writing teams. Lincoln wrote his own; and 150 years later, his speeches are recited around the world. "Lincoln's Gettysburg Address is the soul of brevity. Not just in the clarity, economy, and musicality of Lincoln's language, but his hard-learned esteem for brevity as a view of life. "The average life expectancy of an American in our times hovers around (I dare put it this way) four score. In Lincoln's time, it was not even three score (and of course, he died four years shy of that). We are surrounded today by drudgery-sparing, timesaving, life-extending technologies — hot water at the touch of a button! Instantaneous communication over oceans! Open-heart surgery! — that was unfathomable in Lincoln's time. Yet I doubt many of us feel that we have more time. "Lincoln knew life was often brief and mean. His mother died when he was a boy. Two of his boys died in childhood. He knew that tens of thousands of people — so many of them young — had died in a war which, however necessary and noble we deem it now, had unleashed unprecedented and even unimaginable bloodletting by Abe Lincoln's own hand. 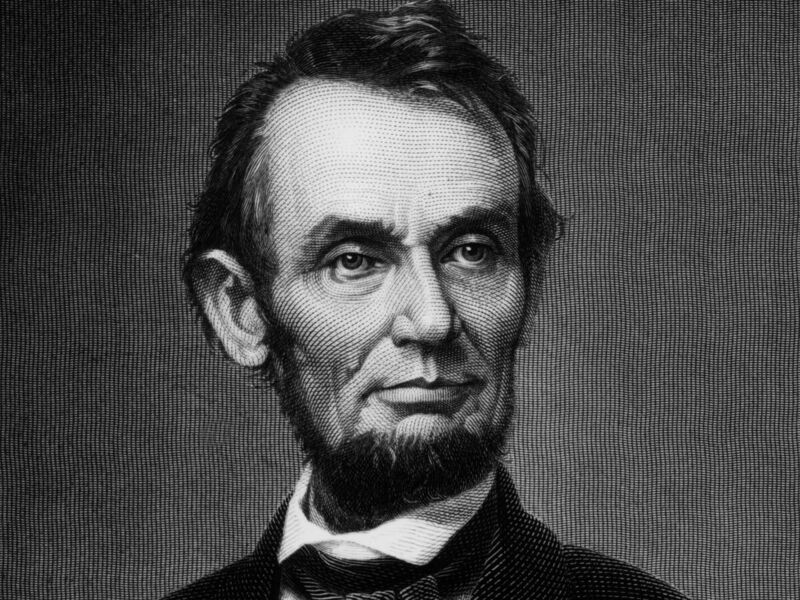 "Lincoln's words remind us at once of the brevity of life and the imperishability of humanity. The clock ticks, the calendar flips. No power exists to slow them down or manufacture more hours and years. Abe Lincoln reminds us to make our own lives count by filling the hours we have with what's worthy, kind, funny and honorable."